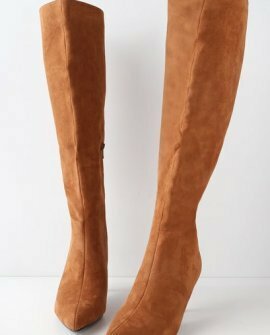 The Cherrie Camel Suede Knee-High Boots pair perfectly with all your favorite mini skirts! 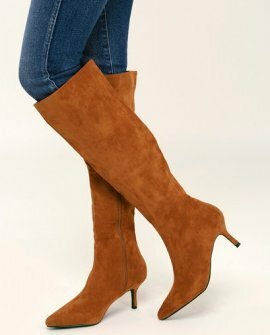 Ultra soft vegan suede covers a pointed toe upper, and 18" knee-high shaft. 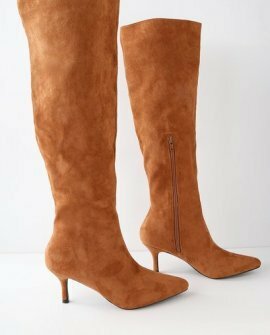 9" zipper at the instep for easy on and off.